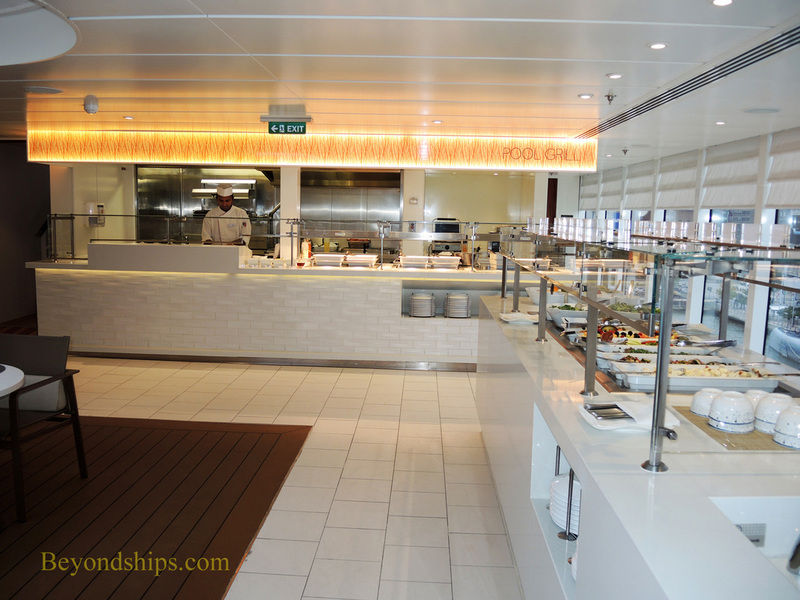 Viking Star has several casual dining alternatives. 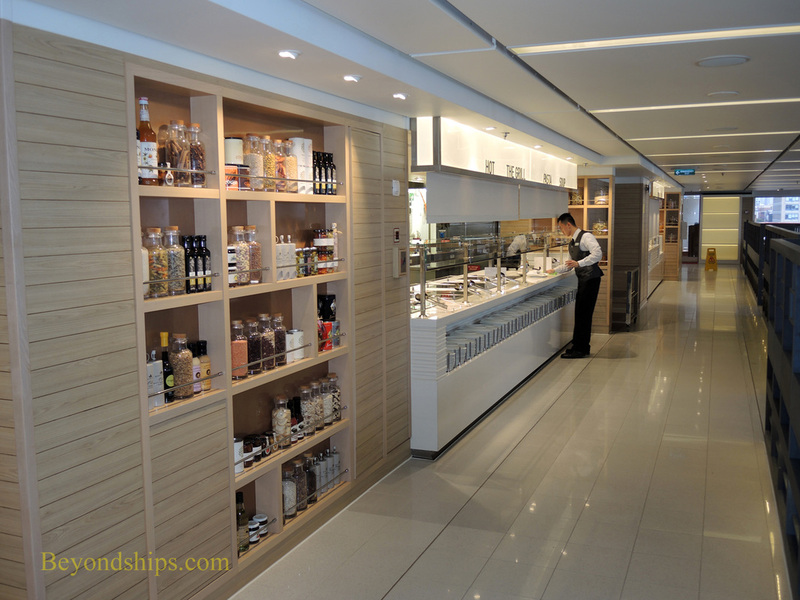 The largest of these is the World Cafe, Viking Star's self-serve buffet restaurant. 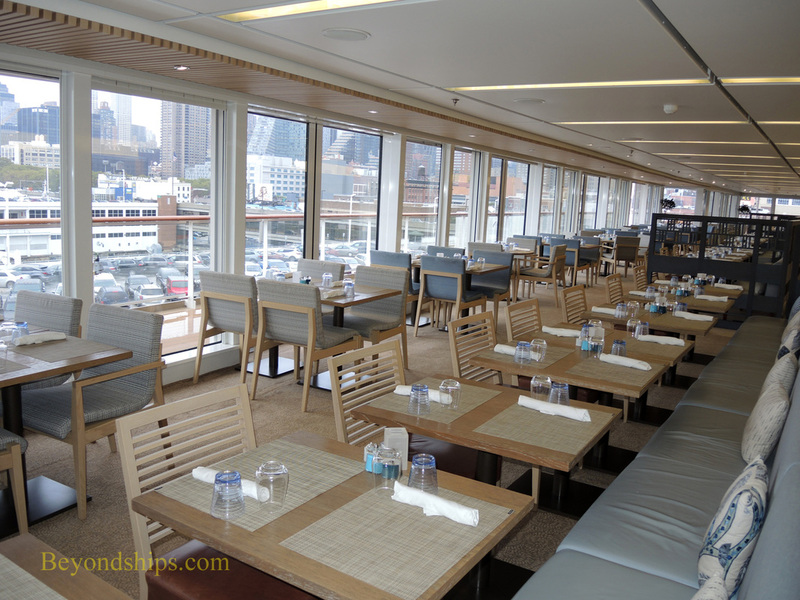 Located high on the ship on Deck 7, its floor-to-ceiling windows give panoramic views and allow in natural light. 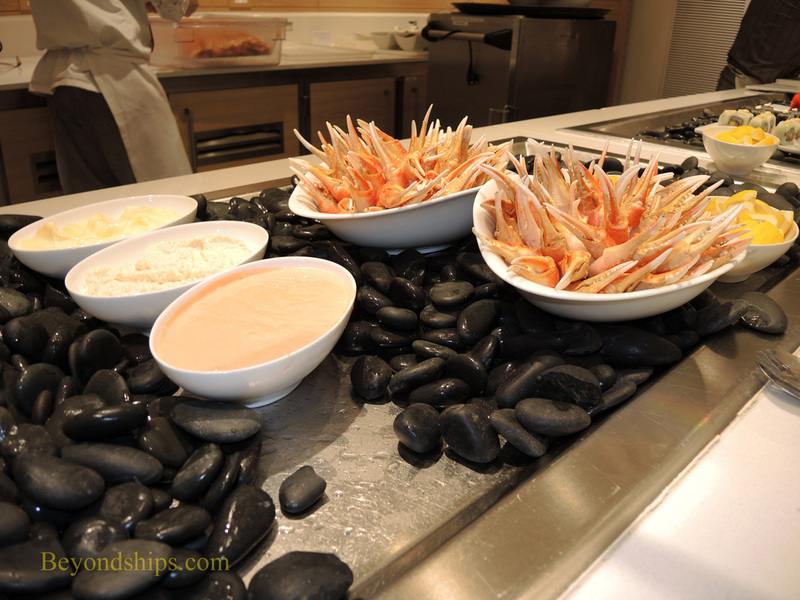 In addition to the more familiar buffet stations, Viking Star has such things as a seafood station with fresh shellfish. 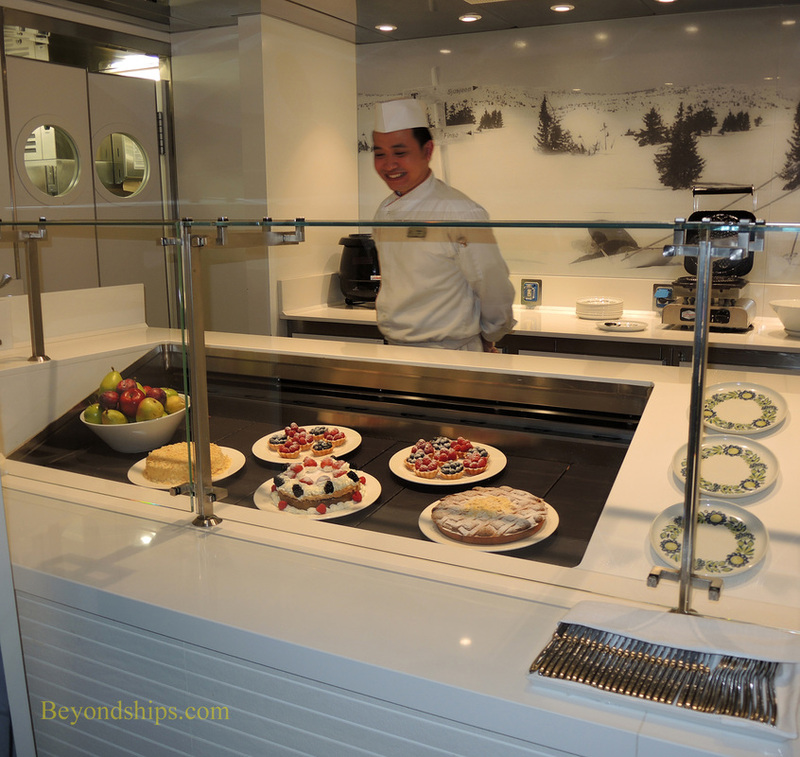 ​For pool side dining, there is the Pool Grill. 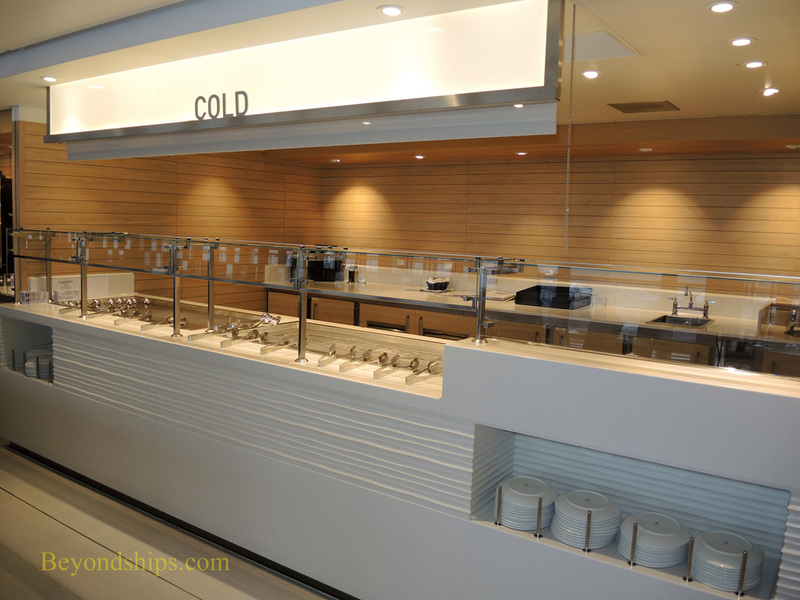 It features a self-service Nordic-inspired salad bar as well as award-winning hamburgers and light grill dishes. 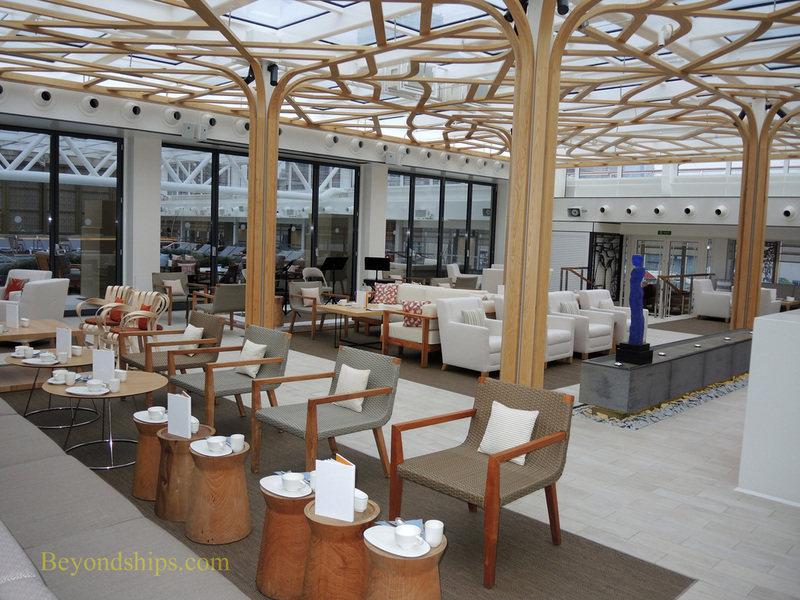 ​Just forward of the Pool Grill is the Wintergarden where afternoon tea is served. 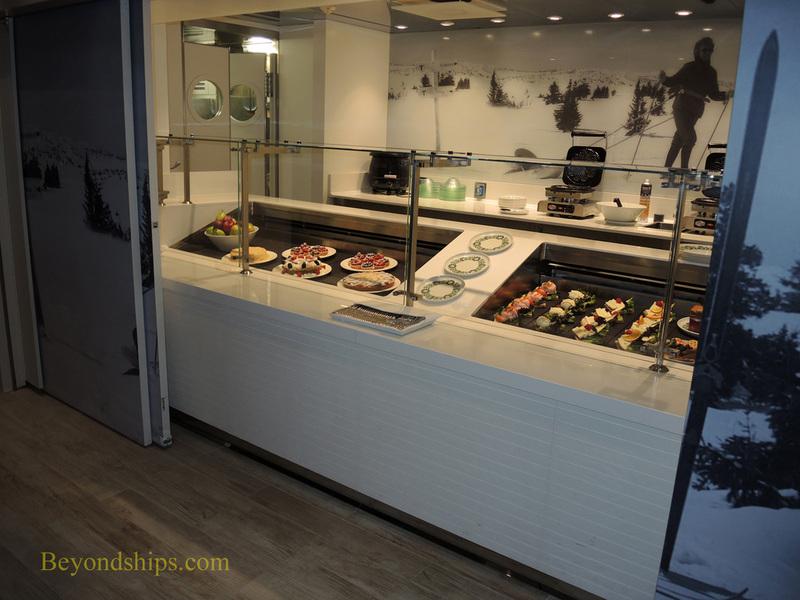 Mamsen's is a Scandinavian deli. The selections include items developed from Viking founder Tor Hagen's grandmother's recipes. 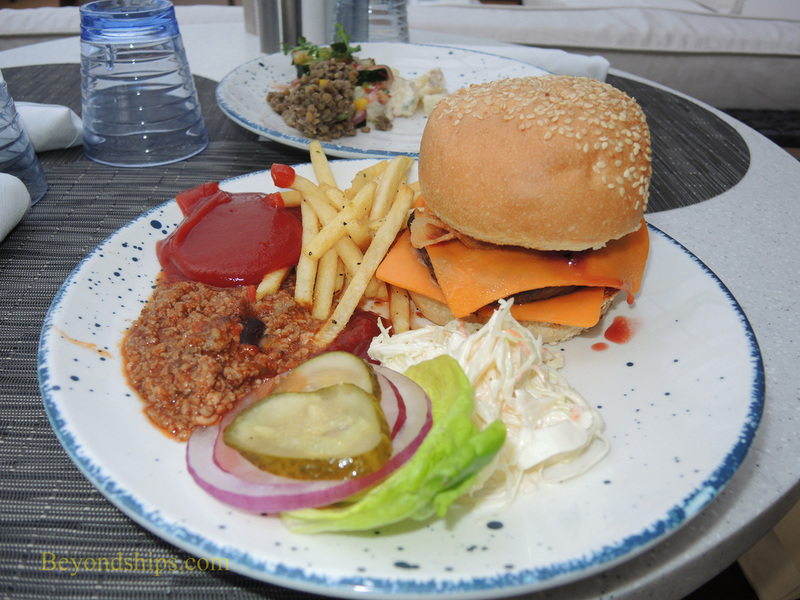 Mamsen's is located in the Explorer's Lounge.